In 1913, our founder, F.A. Bartlett, began to experiment with the trees on a farm he bought for this purpose. Research was a separate department for many years until 1927, when Dr. Bartlett formally established The Bartlett Tree Research Laboratories and Experimental Grounds in the United States and staffed it with leading researchers of the day. After entering the United Kingdom in 1994, creation of a facility dedicated specifically to researching tree and shrub care issues in this country became a priority for Bartlett Tree Experts. In April 2001, Bartlett opened a new research and diagnostic laboratory based at the University of Reading in Berkshire. Facilities include modern, fully equipped laboratories with an extensive library, experimental field sites, and access to state-of-the-art scientific equipment like chlorophyll fluorescence monitoring, high performance liquid chromatography, and DNA-based technologies. The University grounds act as a living arboreta containing over 1,000 tree species, including the Harris Gardens. 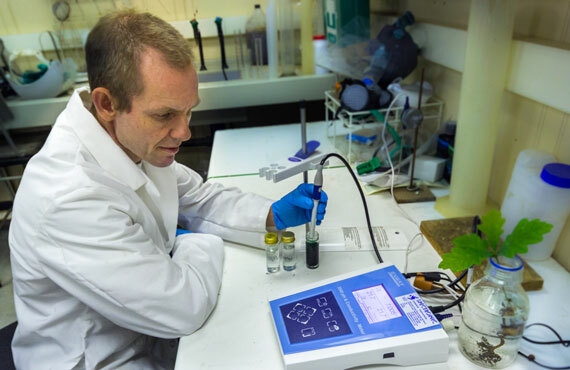 The Bartlett Tree Research Laboratory is capable of evaluating plant samples, culturing and identifying disease-causing organisms or insects, and performing soil analysis. The staff have expertise in scientific disciplines including plant pathology, entomology, soil science, and plant physiology. The laboratory advises Bartlett arborists on the latest advances in arboriculture, horticulture, and plant science for the benefit of our customers. Bartlett staff also support development in Arboriculture and Horticulture through teaching and PhD supervision at colleges and universities throughout the country. We also provide essential support to many nationally prominent tree collections from our field and laboratory resources. A primary function of the Bartlett Tree Research Laboratories is to provide up-to-date technical and career training to all Bartlett Arborist Representatives, Plant Health Care Technicians, and workers who manage and treat the trees and shrubs on client properties. One-week schools for new Arborist Representatives, Plant Healthcare Specialists, and Arborist Crew Leaders are offered. One-day technical, update meetings are provided twice each year to Bartlett Arborist Representatives and Plant Healthcare Specialists to keep employees informed of recent advances. All pesticide applicators and veteran Plant Healthcare Specialists receive annual training on new products, techniques and equipment available for insect and disease management. As a result of the many training opportunities available, Bartlett technical expertise is unsurpassed in the industry. The Bartlett Tree Research Laboratories provide diagnostic support directly to clients in need of the most advanced plant, disease, and insect identification. The Bartlett research and diagnostic laboratory staff provides vital technical support to Bartlett Arborists, plant health care technicians, production crews, and clients. 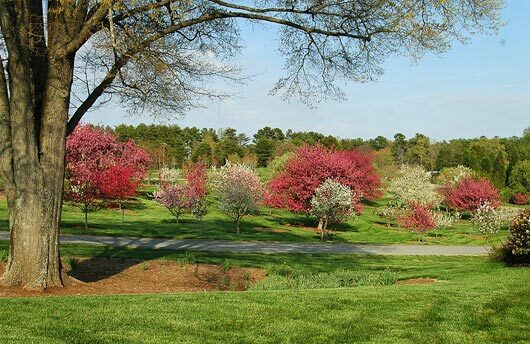 Situated on a rolling 350 acres of property in Charlotte, North Carolina, the Bartlett Tree Research Laboratories is home to an incredible and diverse arboretum. This unique collection of plants serves as a research grounds and outdoor classroom.